How many egg types do you know? There are different types of eggs, the best dishes that supplies the body with healthy fats and protein. They are very cheap and can be stored in a refrigerator for a longer time compared to other dishes. According to a study, eating different types of eggs can help one lose weight because each egg contains only 75 calories but with 7 grams of protein, which satisfy and satiate hunger. In addition, one egg has just 5 grams of fat and provide the body with iron, minerals, and vitamins. Besides, they have a medical advantage as they contain carotenoids that help the body fight diseases. These carotenoids include zeaxanthin and lutein, which can lower macular degeneration risk, the leading cause of old age blindness. With these benefits, you may think of starting to have different egg types daily for breakfast. But having such a diet every day doesn’t sound like a fun thing. To help you add variety to your cooking style, we discuss eggs cooking types in this article. Starting off in our list is the common type of egg cooking. A hard boiled egg is cooked in hot boiling water in its shell. The term “hard” refers to the evenness of the albumen or egg white and the yolk. This approach is quite simple. Fill a pot with water, making sure it is enough to cover your eggs by at least two inches. Boil the water and then carefully place in the eggs and leave them in boiling water for 10 to 15 minutes. Peeling a boiled egg can be painful, and to avoid this, immediately place the eggs in cold water after boiling. Alternatively, you can buy your eggs a week before cooking and peel immediately after cooking or add to the boiling water a teaspoon of baking soda to soften the shells. Hard boiled eggs can be served along with a sprinkle of kosher salt, or with salad toppings. To prepare this egg type, follow the same steps as the hard boiled option discussed. However, instead of 12 minutes boil it for 6 minutes. The result of this is a cooked egg white and a runny yolk. Boil water in a pot then gently drop in the eggs and set a timer for exactly six minutes. Remove the eggs and place them in an ice cold water. Instead of going through the trouble of peeling, soft boiled eggs can be eaten in the shell. Just stood an egg upright in an egg cup, gently tap the top using a teaspoon and scoop out the insides. Soft boiled eggs can be used for toast or dipped in a thick bean soup. 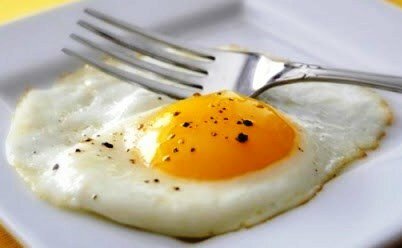 This types of eggs are the best approach when you are checking your fat intake. Poaching an egg helps in preventing the yolk’s fat from changing or oxidized before and in the course of cooking. This method helps one avoid additional fat from cooking oil or butter. To poach eggs, bring water to nearly boiling and then add vinegar. Crack the eggs into a cup one at a time and pour into the water. Using a spoon, shove the egg whites nearer the yolks. Turn off the heat, place a lid on and leave it until egg whites are cooked. Scoop the eggs out of the pan and enjoy it on a toast. Scrambled eggs are most of the time made by accident. Think of the many times you dropped an egg and then just mix them up on a pan. Scrambled means the egg whites and yolks are broken and mixed. The default preparing of scrambled eggs is cooking all of them through. To add that extra fluffiness, add a half cup cottage cheese per two eggs before pouring into the pan. When your scramble egg is ready, add cheese or your favorite veggies to spice it up. If you find hard scrambled eggs dangerously dry, try soft scrambled eggs. There is not much difference between these egg dishes and hard ones except for the cooking time. To have soft scrambled eggs you need to be extra vigilant because eggs cook very quickly. Break your eggs using a spoon in a bowl. Heat the pan to medium and grease it. Pour your mixed eggs in and get ready to repeatedly fold them as they cook. Keep in mind that when the eggs spread too thin, they will overcook quickly. For this reason, be careful to prevent them from spreading out to the sides of the pan. Keep folding them until they are no longer runny but still wet. Remove them from the heat immediately, by this I mean from the hot pan. Soft scrambled eggs are perfect on buttered toast, sprinkled with pepper and salt. These types of eggs are creamy and softer than soft scrambled eggs. Whip your eggs and drop them into a pan over moderate heat, add one thin pat of butter for every egg. Using a spatula, start stirring, break the yolks and allow them to mix with egg whites and butter. Keep stirring as you observe the heat, lift off the pan from the heat briefly if it gets too hot. Keep stirring for about 4 or 5 minutes to the point where they come together. Right before taking them off the heat, add crème Fraiche, milk or sour cream and stir. 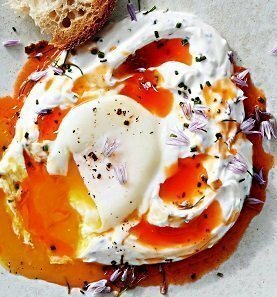 Remove the eggs from the heat and ladle them onto toast. Sprinkle with green onion, chive or dill or salt and pepper. There you go! The creamiest and softest scrambled eggs you’ve ever tested. Making omelets is not only easy but also one of the best egg cooking types. It can take you a few tries for you to perfect the technique of making omelets. Making an omelet is like making scrambled eggs except that with an omelet, the eggs are left to cook until they stabilized into a shape and then topped with favorite ingredients such as meats, vegetables or cheese. Preparing scrambles is super easy. When eggs are prepared in a scramble, it simply means that other ingredients are scrambled with the eggs in the pan. These ingredients can be cheese, meats, diced potatoes, hot dogs or sautéed veggies. If you have had enough frying eggs, baking provides a suitable alternative, which involves some basic steps. Coat a baking dish with a nonstick spray and then crack your eggs and pour them in. sprinkle pepper or other seasonings of your choice on top and pour a tablespoon of milk or water over the eggs. Bake them in 325 degrees F for about 12 minutes until the egg whites are set. You can spice your baked eggs with toppings such as salsa, cooked spinach, chopped tomato or shredded cheese. The tricky part about making a Sunny Side Up eggs is that the yolk tends to run too much. If you are not comfortable with the stove, you can make them in a skillet in the oven. Crack the eggs and then place them in a 350 degrees F oven for about 4 minutes. If you are using the stove, just fry them in a pan without flipping to allow for a runny yolk. Cooking Over Easy is similar to Sunny Side Up, but the difference is flipping Sunny Side Up to get Over Easy. The “easy” in the name doesn’t, however, implies the simplicity of cooking but rather the state of the egg yolk. Over medium is the next step after over easy. The eggs are fried, flipped and then fried some more to ensure the egg whites are cook and brown edges are formed. The yolk will still be runny but on top, a thick film will develop so that you can have a dipping quality. The last step of cooking, over eggs. In over hard, the eggs are fried, flipped, and fried some more with the yolk smashed. The eggs are fried until the egg whites and the egg yolk are cooked completely. Before flipping, poke them with a fork or the edge of a spatula. Flip cautiously to avoid dripping the yolk. Basted eggs are cooked using thoroughly steam or liquid without flipping. When using butter, scoop repeatedly the extra butter and pour it on top of the eggs. This allows the yolk and the egg whites to cook without the need to flip it. Alternatively, grease the pan and then squirt some water then cover the eggs with a lid to steam-cooked the eggs. Here is another fantastic egg cooking types. All you need is just four ingredients and you are good to go. They include 3 eggs, 2 zucchini, 2 garlic cloves, and 1 cup of breadcrumbs. 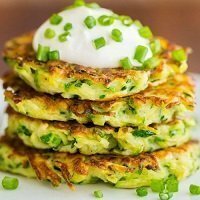 To make zucchini fritters, whip 2 eggs in a large bowl, and grate zucchini into the bowl containing eggs, add garlic and breadcrumbs and stir the whole mixture using a spoon. Firm up the mixture by placing it in the refrigerator for about a half hour. Make patties out of the mixture using your hands. Heat 1 tablespoon of oil of your choice in a skillet over a medium to high heat. Cook patties until they turn golden brown on both sides. Lastly, fry the remaining egg in the skillet and serve it with the zucchini patties. Start your meal with a nice piece of bruschetta. Traditionally, bruschetta is made by rubbing slices of grilled bread with garlic and then topped with chopped tomatoes, salt, olive oil, and balsamic vinegar. But to take it to the next level, add hard-boiled eggs, arugula, and roasted peppers. .
Add zucchini to this traditional shakshuka and you get a super vegetarian supper. To add a tasty twist, serve each piece on a big slice of bread for egg yolks and tomato liquid to sop up. Besides, you can have any leftover sauce on top of the scrambled eggs or better yet, toss with pasta. This protein-packed dish will make you feel satisfied and full throughout the morning. The veggies featured will supply your body with multi-nutrients that will keep your energy levels high, and also boosts metabolism. This frittata is easy to prepare, and the best part is the addition of protein-rich bone broth. This dish is perfect for breakfast, lunch, dinner, or even as an afternoon snack picnic. This slab quiche can also be served at room temperature or warm and you can simply take it wherever you desire to go! This sandwich can make breakfast or lunch so much better, and yet not many can think of making, with the addition of some herb salad mix or watercress and bread. These egg dishes are much better when prepared with fresh vegetables from the farmers market or the garden. The shallot mustard and carrot lifts and binds the fresh garden notes. This dish is a little sweet, a little spicy and a little salty. Sriracha deviled eggs are the definitive way of shaking up your dinner or better yet, adding a little spice to that cocktail party. Try ditching mayo for a soy-free vegan mayonnaise and create a healthier and tastier egg salad lunch. Steak and Egg Hash is a simple dish that can be used for breakfast, lunch or dinner. You will just need five ingredients to create this delicious and cheesy dish. This egg dish is suitable if you are out camping or have access to the open fire. This egg dish boosts your body with anti-inflammatory properties. Turmeric deviled eggs are extremely tasty and also good for your health. There many ways of cooking eggs depending on the taste you want. This article has reviewed a number of strategies most people use. Follow these steps and enjoy your meals. It is said that egg cooking is simple. Nevertheless, be careful not to do the following mistakes: avoiding to whisk your eggs, under seasoned your egg, and overcooking your eggs. Besides, it is important to ensure that your eggs are always fresh before cooking.